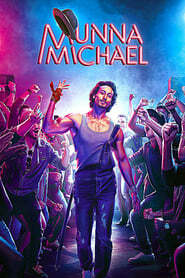 Munna Michael 2017 – Munna is an orphan brought up by an ageing chorus dancer Michael in a Mumbai chawl. The boy grows up idolising Michael Jackson. To realise his dream of grooving like the King of Pop, he even agrees to tutor a hoodlum, Mahindar Fauji. Their bromance turns ugly when both end up falling in love with Deepika aka Dolly.